Hundreds of war games, thousands of other games. That’s the overwhelming score if you browse through the BoardGameGeek.com website. And where Avalon Hill always produced their war games with cardboard counters it was MB who decided to include real plastic soldiers in their 1961 'Battle Cry' game. It had only 2 poses but as far as I know it was this first game that inspired others. In 1967 3M followed with the 8 poses in their 'Feudal' game. 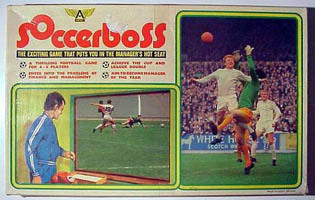 And the somewhat obscure game 'Soccerboss' followed in 1969 (produced by Ariel). In the 1980s it was MB who produced 6 more games in our favorite scale. 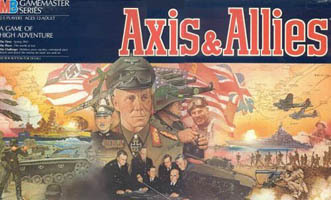 One of them of course, Axis and Allies, is one of the most popular war games ever produced. But things got really wild when Eagle games started production in 2001. They produced 10 games with figures before 2010. 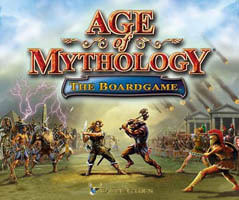 Their game 'Age of Mythology' was their ultimate with 36 different poses and 300 plastic figures in total! This amount was only beaten by the 'History of the World' game by Avalon Hill with 642 plastic figures... but only in 7 poses! Hasbro followed in the 80s with 4 games in the same period (mostly Risk versions). 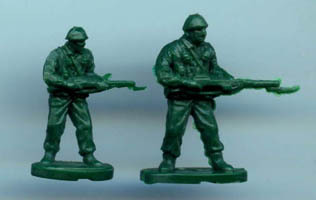 This period of time was obvious a good choice as production of 1:72 soldiers was growing fast, thus they benefited from this 'golden age' of 1:72 figure production. In the last years we have seen games like the Memoir'44 collection, the Tide of Iron game with expansions and the games of Twilight creations. Altogether you will find an initial collection of 35 different board games in this article, with 261 different figure poses. This is indeed a proper reserve army if you are looking for unusual and unique figures! At the end of the article you will find a list of games where figures are also included, but in smaller or bigger scales when compared to 1:72. Check out this list if you own or know a game which is not in the main list of this article. The games below are listed in alphabetical order. As one of the first games Eagle Games (www.eaglegames.net) made this was a good starter. 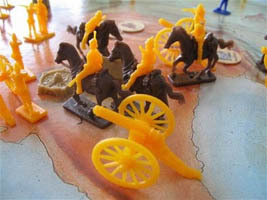 The game includes 74 plastic figures, including 24 cavalry, and artillery (cannons) were also included. The horses used in the game were standard for all Eagle games. The figures, horses and other parts can still be bought from the Eagle Games website (see picture below). The scale is a perfect fit for any 1:72 colonial war game or diorama. See PSR review for more details. This game was the jewel in the Eagle games line, although a bit less popular than some of the other titles. 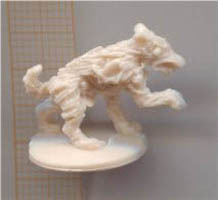 It was clearly published to become a cheaper alternative for other fantasy games (with often resin or metal figures). Eagle games made some real investment with this game, with the development of 36 (beautiful and high quality) poses and 300 plastic figures in the box. The 36 poses is a record that has not been beaten since. As can be seen some of the fantasy figures are out of scale... or supposed to be in the scale they are presented? With monsters and dragons you never know, of course. 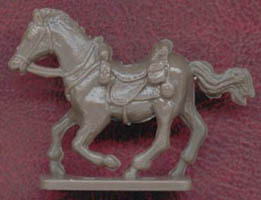 Some of the human cavalry is out of scale as well, but this is often the case with board games. 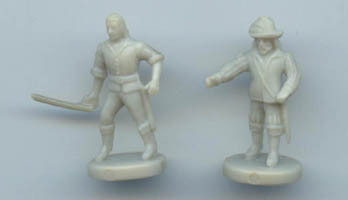 The figures and other parts can still be bought from the Eagle Games website (www.eaglegames.net). See PSR review for more details. This game is a disappointment when compared to the previous game, but it was produced as one of the first games in the Eagle games line-up. 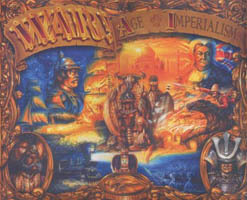 The game includes infantry, cavalry and artillery (guns/cannons) in blue and grey. The horses used in the game were standard for all Eagle games. They were also sold separately in special boxes with 72 horses. I remember buying them to replace Airfix and Atlantic horses! The scale is a perfect fit for any 1:72 ACW game or diorama. See PSR review for more details. 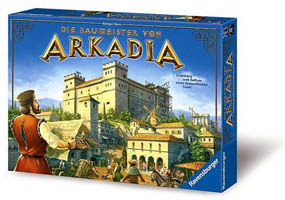 Arkadia is a very nice, and beautiful made, game about knights and castles. If you like these types of games you should try to obtain it. 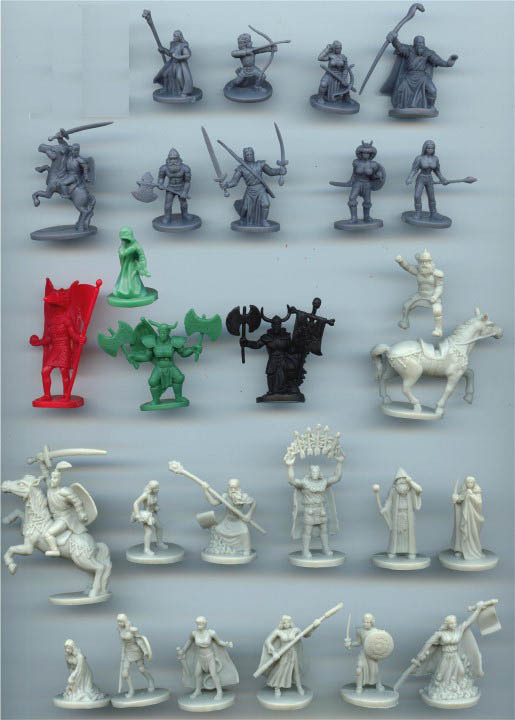 The aim is to build a castle bigger than any other player, and the figures included are the general playing tokens. It’s a nice figure, and a perfect 1:72 fit. Ravensburger (large game producer in the EU) only made two games with 1:72 figures. See game 26 below for the other one. This is a bit of a strange game in the Eagle games range. 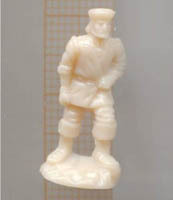 First of all there is only 1 pose included, but this comes in two sizes (roughly 23mm tall and 25.5mm). The larger figure was an indicator of multiple units, so counts as several of the smaller one. There are 6 colours in the base game, and with an extra expansion (7-8 players) a black and white army could be added. The game was never really successful and is now overshadowed by games like Memoir’44 and Tide of Iron. Each player starts with a few regions (one of which is his capital), and a few military units. Players expand their power bases by adding regions to their 'sphere of influence'. This may be done either through diplomacy (they join willingly), or military conquest (they join, period). We are on holy ground here and I have to be careful what I am writing! 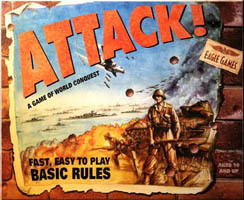 A&A is the mother of all war-board games. At least that is what all these fans around the world believe. And I am one of them. This was the first war game I ever bought and I remember playing this game with friends till the last and final battle, often deep into the night. I played this game more times than any other game. And yes, there are 25 (!) poses produced at the moment. Not all of them by MB, of course, but I will explain that below. The game also includes armor, airplanes, ships and many more, but we will not discuss this here. The original 1981 base game included 5 poses as can be seen in the picture below (indicated in green text). It was only in 1999 that a new version of the base game was made and thus new sculptures were produced as well. MB also made Italian and French troops for the European theatre games and Chinese and Anzac troops for the pacific area games. Thus we end up with 5 (old game) + 5 (new game) + 4 (new nations) is 14 poses in all the official MB games listed above. But there are so many fans of this game that there are also two companies producing additional figures (and countless armor, ships and aircraft!). These companies are HistoricalBoardGaming (HBG) (www.historicalboardgaming.com/Spring-42-2nd-Ed-2012_c_188.html) and Field Marshal Games (FMG) (www.fieldmarshalgames.com). Of course their soldiers are a perfect fit for the AA games and scale 1:72 in general (the soldiers, not the equipment, which is much smaller). They produced the remaining 11 poses and are developing new ones every now and then. In the table and corresponding text below you will find all poses and producers. 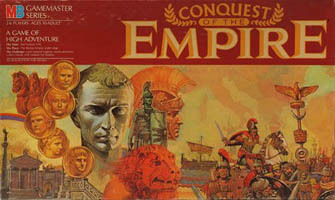 The legendary Avalon Hill produced this game in 2000, by which time 'Avalon Hill' had already been sold to Hasbro (1998). 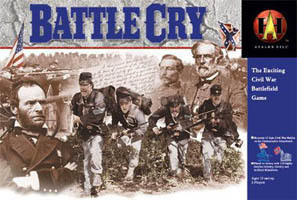 Battle Cry was one of three games where 1:72 figures were included (see also game 17 and 22). As can be seen in the picture the cavalry figures are nice, but a bit out of scale. The others are in the right scale. This is an interesting game, working with a board plus additional terrain tiles, a technique copied by many producers since then. Now, this game should not be confused with 'Battle Cry' from MB. Yes indeed, the same title, but a different game - see below. As far as I know this is the first board game that included 1:72 scale figures. Produced in 1961 this is by now antique. Each side has 22 pieces (10 infantry, 10 cavalry and 2 artillery in blue and grey), and the starting positions are fixed. The grid is square, with no diagonal movement allowed. On your turn, you roll two dice for movement, resulting in between 2 and 12 movement points to allocate. Mountains force pieces to pause (they must stop until the next turn). Railroads link stations and can be used to accelerate movement (one station per pip). The cavalry figure is, as usual, out of scale, but the infantry figure is not bad at all, certainly for this period of time. Remember that GIANT started to produce their first 1:72 sets around 1959-1960! Was Milton Bradley inspired by this small scale? Besides blue and grey figures there were also small guns/canons included. 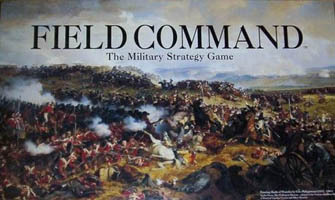 This game is one of the 'American Heritage Command Decision Strategy Games', highly prized by collectors. Other games in this series are Broadside, Skirmish (see game 32), American Heritage Game of the Civil War, Hit the Beach (30mm scale, see far below) and Dogfight. 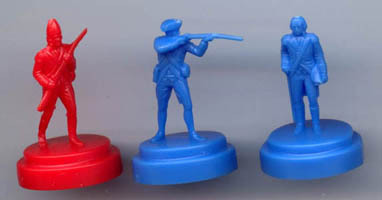 'American Heritage Game of the Civil War' (www.boardgamegeek.com/boardgame/175017/american-heritage-game-civil-war), was also produced in 1961 by MB, with the same 2 poses. The 'Modern Mafia game', as it is displayed on the box. 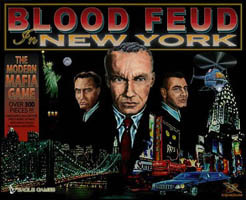 On a very large map of New York, including all the suburbs in Queens and Brooklyn, players build up their gangs of thugs, goons and hit men. Move these around the city in limos, speedboats and helicopters, attack your enemies, and take control of boroughs to earn income and hire more gangsters. 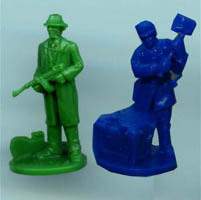 Each player has its own color (6 colors available) in two poses. The game included more than 300 playing pieces. Just like the previous game we continue in the criminal scene with this game (this time about moonshiners). 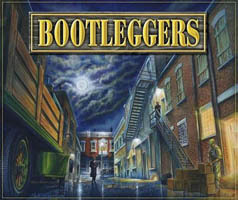 In Bootleggers, players take on the role of enterprising bosses seeking to make a name for themselves in the illegal alcohol trade at the height of the 1920's prohibition era. The game has only 2 poses, and these came in 6 colors. The most interesting thing about this pirate game is not the 2 poses. Although nicely sculpted the attractions of the game are the 2 ships in 1:72 scale! These are not simply made from cardboard but from hard plastics. They will do nicely with any diorama or in your own war game. The game itself is fairly simple. MB made a huge effort to make this a state of the art game! Complete games are quite expensive these days, as can be imagined. This is another Classic Eagle Games title. This game is also based on the famous computer game. 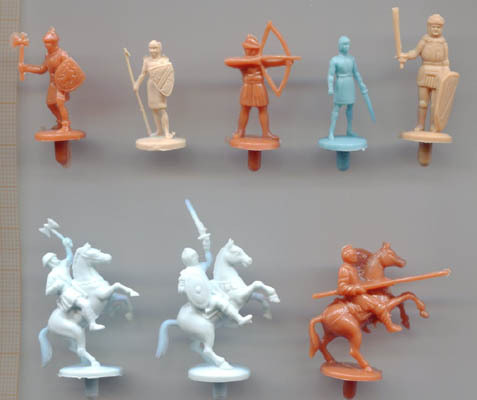 The figures are nicely sculpted and the cavalry figures are a bit out of scale, as usual in many board games. This game is fun to play by the way! One box contains 260 infantry and 80 cavalry figures. See PSR review for more details. If I type 'dungeons and dragons' in the eBay search box I get 44,577 results, so we could conclude that the D&D movement was and still is quite popular. 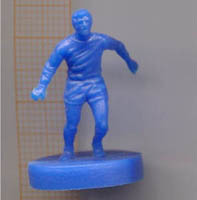 Strangely enough there was only one game produced with plastic 1:72 figures, and that is the one below. It counts 6 interesting poses, some bigger than others but that’s what you can expect in fantasy games. Another Eagle games title, this time about the Roman period. This game is a remake of the 1984 classic that was part of Milton Bradley's Gamemaster Series (see game 15 below). In this game you are one of many Roman generals vying for power in Imperial Rome, employing legions, cavalry, and catapults to reach your objectives. The figures are nicely sculpted but the cavalry figure is a bit out of scale. The Caesar figure can be a nice contribution to your Roman armies! 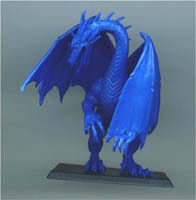 The figures and other parts can still be bought from the Eagle Games website (www.eaglegames.net). Another duplicate name title, but this was the original that Eagle games took as an example. However MB made this game in 1984, thus it is one of the older board games in this article. The figures are nicely sculpted but the cavalry figure is a bit out of scale. This game was released only a couple of years after Axis and Allies and is very similar in set-up, rules and playing in general, only this time in the Roman period. The game includes 134 playing pieces, and if you like Axis and Allies you should also try this game! With this game Eagle Games was trying to get a share in the ever growing fantasy market, and this became quite a popular game with many fans. The initial base game was released in 2010 with 7 heroes, 4 generals, 1 cavalry- and one infantry pose (called 'minions' in the game). In the picture below you will find the 7 heroes and the cavalry figure on the first two rows. The blue Dragon and the red, black and green knights are the 'generals'. The main infantry/minion token in the game is represented by the small green cloaked figure. 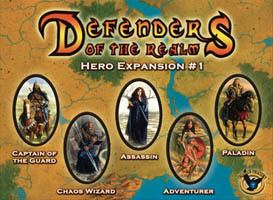 Later a Dragon Expansion set was produced with 4 additional dragons (not pictured). And after that 3 Heroes expansion sets where produced. 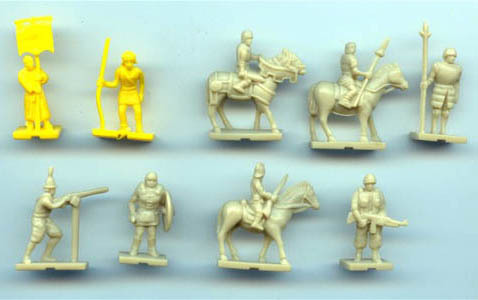 In these sets a new cavalry figure was also included. In total 12 heroes and 1 additional cavalry was thus produced. In the picture you will find them as the white colored figures. Besides all this separate 'minion' sets are produced with Orcs, Generals, Undeads, Dragonkin, Demons and more. Check out the Eagle games website for all further expansions (www.eaglegames.net/SearchResults.asp?searching=Y&sort=2&search=defenders&show=10&page=1). These extras are not displayed here. Feudal was first published by 3M in their '3M Bookshelf Series' in 1967. 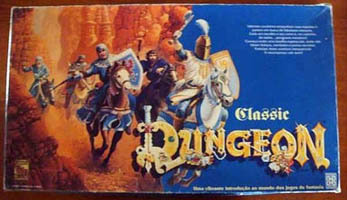 It seems that the game was popular because several editions were made where the box art changed a little and the 6 armies (of 13 figures each in 8 poses) changing colors somewhat over time. The actual 'board' in this game looks like a plastic chess board where the figures can move spaces by plugging them into the board. The game itself is basically a knight-chess game. The game doesn't look very attractive but the figures are nice! Avalon Hill took over the game and sales around 1971 and there are also boxes with 'Schmidt International' as the publisher. European market? Below you will find the 13 figures in each army, in 8 different poses. The cavalry figures are a bit out of scale, although not that bad as in other games. 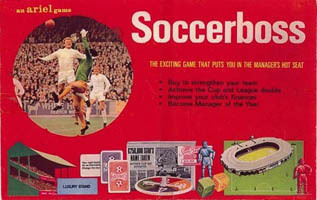 And remember that this game was produced before Atlantic even started their production in 1971! Field command was developed by Mr Félix Philippoteaux (self-published). In Field Command each player controls an army of 40 units comprised of artillery, cavalry, infantry and a general. Cavalry and infantry are divided into 3 ranks, denoted by a triangle, a circle, or a square. For a self-published game this is very nice indeed, and it is actually strange that no bigger game developer picked this up for wider distribution. 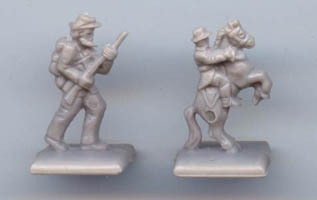 Every serious collector or frequent visitor of the PSR website should have recognized the figures already; the cavalry figures are copies of Esci 230 (British Light Dragoons) and the infantry are copies of Esci 226 (Prussian and Austrian Infantry). Nevertheless a nice game! 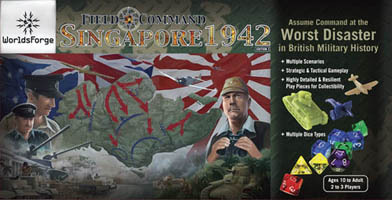 Players can take on the role of the British, Australian or Japanese field commander during the Battle of Singapore 1942. This game not only includes 71 soldiers, but also armor, aircraft and artillery. If you like Axis and Allies you will also like this game, because it's basically the same type of game, although with some different rules. Figures for the 3 different nations are included; Australia, Japan and the UK (from left to right in the picture). Players move their explorer pawns up the sides of a mountain along paths and through caves, trying to reach the top of the mountain, retrieve the idol's giant ruby, and take it down the other side to the waiting boat. However, both the idol and volcanic vents throughout the board periodically spit out 'fireball' marbles, which physically roll down the mountain, either ploughing through explorer pawns in their path, or toppling triggered bridges as they pass under them. Fun! This is a typical MB game - they never spared time and effort to produce an attractive game. But in many cases these games are fairly simple to play and most people will play them only a few times. But perhaps I have that opinion because I played too many, far too complex, war games... who knows. Anyway, the figure is interesting enough and came in red, pink, blue and yellow. You thus get 4 figures in each game box. As well as the previous game, MB also released this game in 1986. It was another game in the Milton Bradley's Gamemaster series, just like Axis & Allies, Shogun and Conquest of the Empire. As we mention these high quality games you know what to expect in this game, and indeed that is what you get. This is also a very interesting game to play with loads of infantry, APCs, hovertanks, helicopters, bombers, US partisan units, and special 'Star Wars' laser relay systems that fire from space. Fortress America depicts an alternate near-future in which all of the world attacks and invades the continental United States. 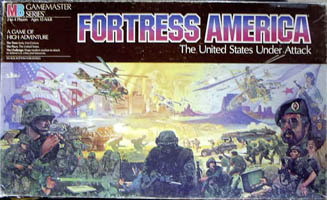 Up to four players (yellow, red, blue and green) can play Fortress America, one player being the U.S. and up to three others controlling the invading units from a particular direction. Game play follows more or less Axis & Allies rules. 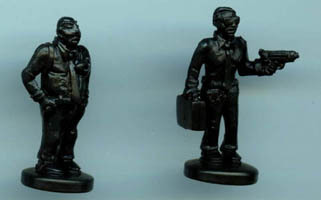 The 2 figures are a perfect fit for your 1:72 SF war games or dioramas, and you get loads of them in the game. 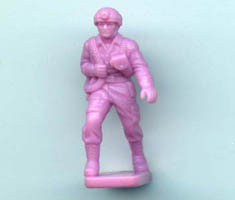 There was also a '5th Column expansion' released in 2006, but it had the same infantry figures (but some extra SF items). 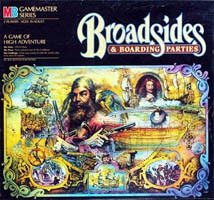 There is also a second version of the box art where the bearded man on the right looks very much like Saddam Hussein. 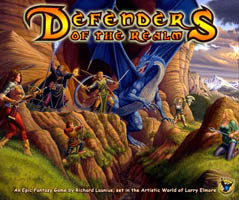 An updated/similar version was released in 2012 by Fantasy Flight games, but this game is not discussed here. Avalon Hill did not make that many games with 1:72 figures, but this one was one of the most complete games with 6 full size armies of 107 figures each! That is 642 figures in one box! For sure it’s the game with the most plastic 1:72 figures ever made. 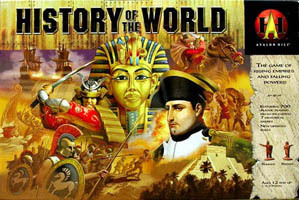 History of the World works under the assumptions that all empires eventually fade and that the only things differentiating great empires from lesser ones is how much territory they conquer and how long it takes for their civilizations to disappear. The game is played out over 7 epochs or rounds, from the ancient 3000 B.C. Sumerians to pre-WWI Germany, with every player controlling a new rising empire from history. 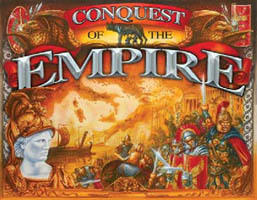 In 1993 the game received the 'Origins Awards Winner' for the Best Pre-20th Century Board game. 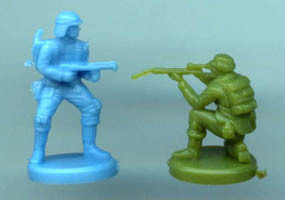 In later years Hasbro re-released the game, with the same figures. Don’t look any further, play this game! 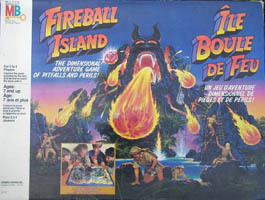 An adventure game, probably based on the Indiana Jones movies, popular around this time. The object of the game is to land on the treasure chest, but don't get grabbed by It From The Pit. 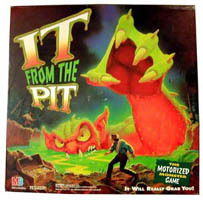 A large plastic board with a deep center well houses the large motorized monster that reaches up onto the board throughout the game while players move on one of two paths at the rim of the pit. A typical attractive MB game, this time with a motorized monster running on batteries. But the adventurers are fine figures, and they came in 4 colors. Days of Wonder (www.daysofwonder.com/en) is one of the recent game developers that jumped in the war games market, and with success. Their Memoir '44 is in fact more a game system than only one board game. There are 14 expansions, additional scenario's and maps. 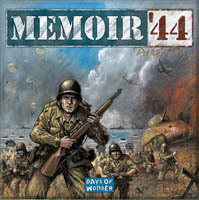 Memoir '44 is a historical board game where players face-off in stylized battles of some of the most famous historic battles of World War II including Omaha Beach, Pegasus Bridge, Operation Cobra and the Ardennes. Commanders deploy troops through Command and Tactic cards, applying the unique skills of his units - infantry, paratrooper, tank, artillery, and even resistance fighters - to their greatest strength. The game won several international prizes, and every serious wargamer should have this game and play it once in a while. Game play is fairly simple and the fun thing is that more base games can be combined to make larger maps. Maps are made out of large cardboard hex-tiles. The figures are nicely detailed and a perfect fit for 1:72 scale wargaming. For this article we will focus on the Base game and the expansions that include figures. 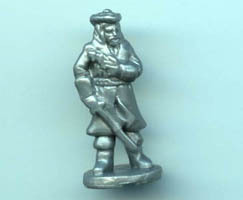 The Memoir '44 base game includes 144 miniatures; tanks, artillery and infantry. 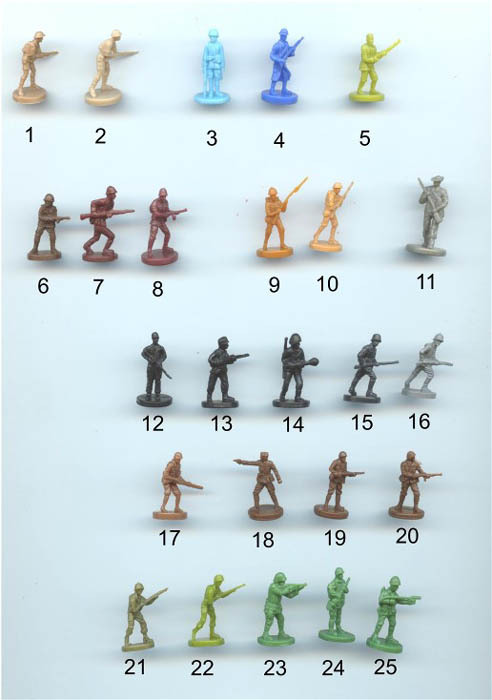 84 Infantry figures; 42 Germans (grey figure in picture below) and 42 Us troops (green figure). The Eastern front expansion includes additional Russian troops (besides more US and German troops). Brown figure, second row. The Pacific theater expansion includes the Japanese army (first figure, second row). The Mediterranean theater expansion includes the British army (last figure, second row). The 'Equipment Pack' Expansion includes 24 Finnish Ski Troops (1 figure on the first row), 48 French Infantry (2nd figure), 6 sniper figures (3rd) and 24 Polish Cavalry figures (4th figure, first row). 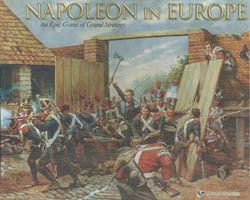 Another Eagle Games title, this time about the Napoleonic period, although game play is similar to 'The American CivilWwar' (game 3). The game includes 240 infantry (180 with musket, 36 Grenadiers, 24 with flag), 156 cavalry (36 officers, 84 light dragoons and 36 Cuirassiers), 72 cannons and 96 horses. Thus in one box you will find 396 (!) war game figures (and 72 very useful cannons). I have to admit that I bought the game for its figures and cannons, and I painted all of them for my large Napoleonic table top war games! See also the PSR review for a more complete article about this game. The horses used in the game were standard for all Eagle games. 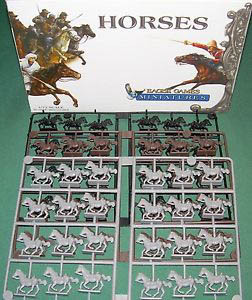 The figures, horses and other parts can still be bought from the Eagle Games website (www.eaglegames.net). 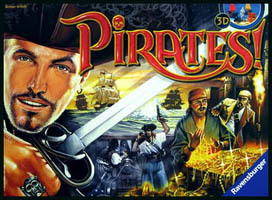 Ravensburger only made a few games with figures and this is one of them, where pirates control the Caribbean. Attack your opponents' ships and forts to get to the treasure. Choose the right balance of crew and cannons - then you'll always be one wave ahead of your rivals! 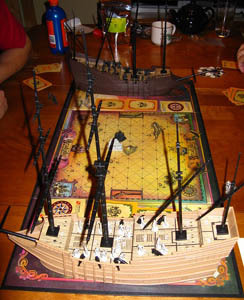 Included in the game is a very nice map with sea, shores and forts, cannons, cardboard ships and the pirates below. Nice game to play! Risk. What can we say about it? Even boardgamegeeks seems to have lost track of this game, with 66 listed versions, some of them including 1:72 figures and some not. Many Risk versions included out scale figures; these are listed at the table at the end of this article. 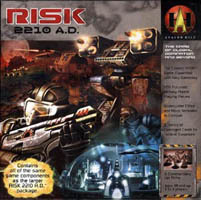 Risk Godstorm is a game with 1:72 figures, although in fact only a few. 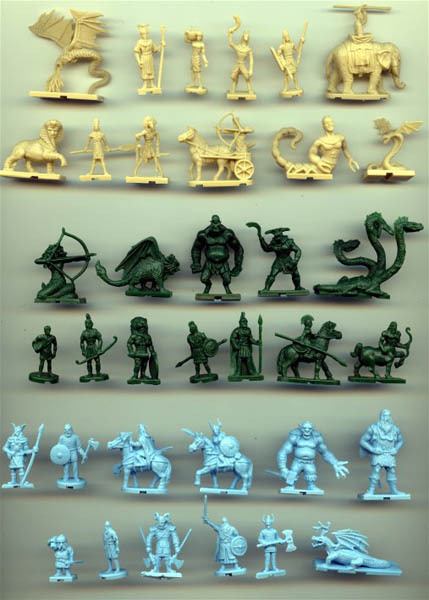 As can be seen in the picture this game contains a fantasy line of figures, thus some are tall and some are small. The Viking like figure (3rd from left) is a true 1:72 figure. Included in the game are 5 armies of 60 troops plus 10 war elephants (the 2nd figure) and 5 gods for each army. Altogether 375 figures! 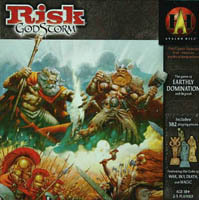 In Risk Godstorm the players are priests looking to lead their race (Greek, Celtic, Babylonian, Norse, and Egyptian) to dominate the ancient world and the Underworld as well. To do this they will need to marshall their forces, dominate continents, acquire relics of power and call their Gods to Earth. 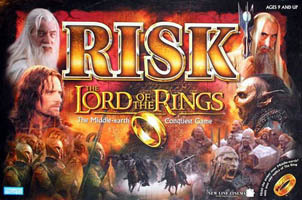 Risk Godstorm uses the basic combat elements of classic Risk but alters many other elements. 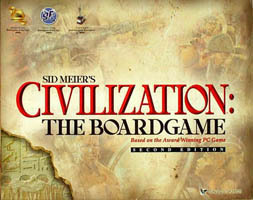 The game is played on an ancient map of the World that focuses on Europe and Northern Africa. This is another Risk game, this time about a galaxy far, far away. Although much has been added, the basic flavor of the game is still Risk. Battles are fought by machines of destruction, known as MODs for short. Human commanders still lead these mechanized troops, but these commanders each have special powers and abilities. These come into play via the use of Command cards, which add a new dimension to the game. Now the battle is not just for the continents, but the sea and moon are also battlegrounds. There is much more strategy and planning involved in this new version, but it should still appeal to the classic Risk fans. The game contains 5 robot like humans and 4 machine poses. There are 5 armies included and each army includes 60 1.0-MODs, 12 3.0-MODs, 10 5.0-MODs and 4 space stations. Besides that you have 5 sets of commander figures (each set consisting of Diplomat, Land, Naval, Nuclear, and Space). 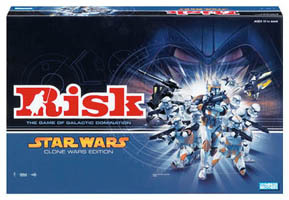 This is another Risk game, and again about a galaxy far, far away - based on the Star Wars movies. Somebody that doesn’t know these movies is not from this world, so no need to explain. Strangely enough there are 4 other Risk Star Wars games with figures, but these are all in 28mm scale. This is the only one that contains some 1:72 figures (the first 2 in the picture). In this game you need to take command of the Republic 'Clone Trooper' Army or lead the Separatists in their universal conquest to topple the Old Republic as players wage war on numerous planetary battlegrounds in the galaxy's most unforgettable conflict. Game play is like other Risk games, but on a SF board with the far away galaxy, separated into many smaller spaces. It couldn’t be avoided. 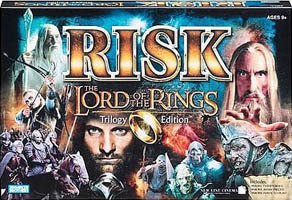 Every big movie hit will get its own Risk version. And indeed LOTR is well suited for that. The map in this game is of course of Middle Earth, and the tokens represent armies of that fictional world. You play either good or evil and leaders, missions and sites of power have been added. The One Ring acts as a timing mechanism, when it leaves the board, the game ends. Included in the game are 4 armies in different colors: 2 shields per color, 6 Cave Trolls, 40 Orcs, 12 Dark Riders, 12 Riders of Rohan, 6 Eagles and 40 Elf Archers. There is also a ring included, but I have no idea of its purpose. In 2003 a 'Trilogy Edition' was released, but with the same figures. Also in 2003 a 'Gondor & Mordor Expansion Set' was released, and this one had 4 additional poses (picture with 4 poses still to come). 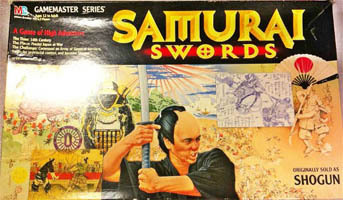 Shogun / Samurai Swords / Ikusa is the last game in the original Milton Bradley Gamemaster series (others are Axis & Allies, Conquest of the Empire and Fortress America). And as we mention these high quality games you know what to expect in this game. And indeed that is what you get. This game focuses on the chaotic feudal society of Japan during the Middle Ages. Players play one of several factions that erupt into a civil war, trying to consolidate their strongholds and then defeat other armies for the right to be called Shogun, the supreme ruler. In the game, players command forces on islands of feudal Japan. 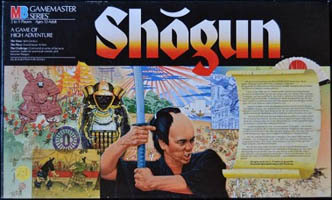 The game was originally published as Shogun and was later changed to Samurai Swords due to a name conflict with James Clavell's Shogun (1995). 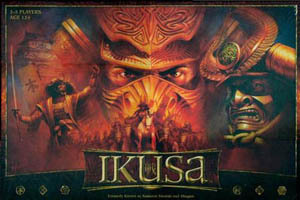 Ikusa is the latest iteration of the game (2011). All games have the same figures. Game play is like Axis and Allies. 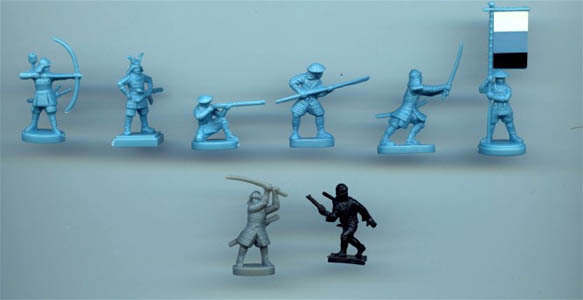 Included in the game are 5 colored sets each of 72 plastic military units with these pieces: 9 Bow samurai, 3 Daimyo, 9 Gunners, 36 Spearmen, 9 Sword samurai and 6 Standard bearers. Besides that there are 26 Plastic Ronin units (gray) and 1 Plastic Ninja (black). In total you get 387 high quality 1:72 figures (in some edition some extra figures were included, which brought the total to 406). See also the PSR review for a more complete article about this game. This is one of the earlier MB games and with interesting 1:72 figures. Only 4 red and 3 blue figures are included in the box. 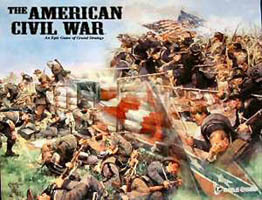 This game is one of the 'American Heritage Command Decision Strategy Games', highly prized by collectors. 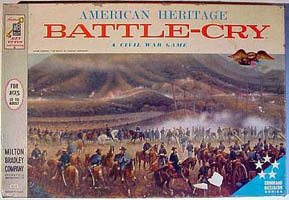 Other games in this series are Broadside, Battle-Cry (see game 8), American Heritage Game of the Civil War, Hit the Beach (30mm scale, see far below) and Dogfight. 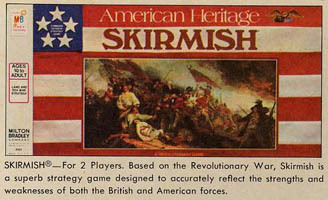 Skirmish is about the American War of Independence. The British have four armies of 5 units each, 3 warships and a troop carrier with 2 reinforcements on board. The Americans have 16 units spread all over the board (including a special 'Continental Army' unit), 1 warship and a troop carrier with 4 reinforcements on board. The British win by eliminating the Continental Army, whilst the American wins by eliminating all four British armies. To keep the game from dragging on, if there is no skirmish nor major battle in 10 moves, the weaker side surrenders. The asymmetrical mechanics work surprisingly well; the British lack mobility and try to force major battles on the Americans, whilst the latter skirmish as much as possible until they can muster a large enough army together to win a major battle and call in their reinforcements. A classic game! Although soccer seems to be a popular sport, games with 1:72 soccer players are hard to find. Actually there seems to be 3 games - the game in question here and 2 unknown games from which I have the figures, but cannot find the game title. See the second and third picture with figures below; anyone know the game titles? Soccerboss is an old game. In Soccerboss each player becomes the manager of a football team, responsible for the running of the team, the strength of the team, its selection, finances and transfers. There are 2 editions (both from 1969) and the difference is only the box (which is red, in the 2nd edition). The game did not became popular (it seems it was quite boring to play). The game includes 160 football players in 4 colors. That is a lot when only teams of 11 players are needed? But no, the colors are not for teams, they are representing skills of a player. A yellow figure is more skilled than a red one for example, and will make more goals. FFG (www.fantasyflightgames.com/en/index) is another reasonably new game producer that is trying to bring war gaming to a new level, and with success. Tide Of Iron is more a game system than just one game. The game can be started with the base game (released in 2007, and in a second edition in 2014 under the name of Tide of Iron: Next Wave). The base game includes 14 poses; 7 US troops and 7 German (first 2 rows in the picture). Game figures are somewhat smaller than 1:72 scale, depending on the pose (20 mm for the standing poses, and somewhat bigger for the sitting ones), but still compatible with some other manufacturers that produce smaller figures. Vehicles are much smaller. 'Days of the Fox' and 'Normandy', released in 2008 and with the UK army, in 7 poses. 'Fury of the bear (2010)' and 'Stalingrad' (2013), with 7 Russian poses. 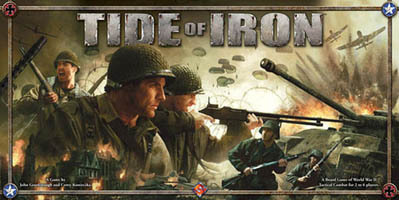 Tide of Iron is a scenario-based game, with the available forces, objectives, map, and victory conditions being set by each given scenario. 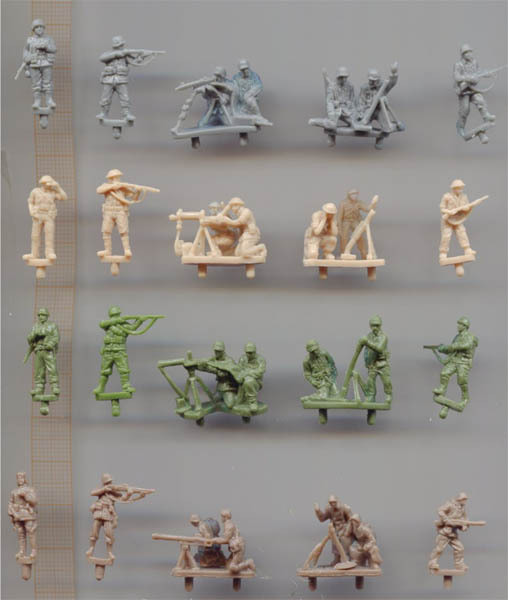 It features loads of plastic figures, including soldiers, equipment, heavy weapons, and combat vehicles, cards, dice, cardboard markers, and modular game boards that will represent the customizable terrain of this scenario-based war game. The twelve double-sided map tiles, plus the dozens of included terrain hexes, allow for limitless potential combinations, and each scenario can be enhanced by special rules, objective markers, troop allotments, and other variations. Each modern war gamer should have this game and play it once in a while. TC (www.twilightcreationsinc.com) is another reasonably new game producer, but they are definitely not into the war gaming playing field. They are into a somewhat sinister aspect of gaming that has everything to do with blood, ghosts, monsters and zombies. Many zombies. 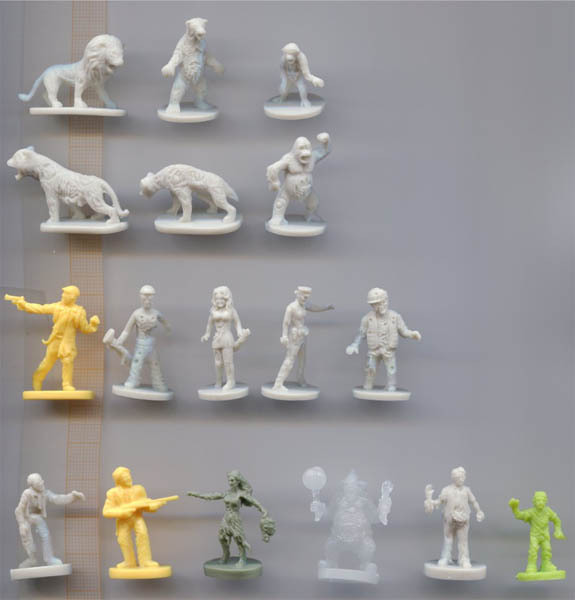 In fact it was not enough to produce one simple Zombies game, TC made 13 editions... with hundreds of Zombie figures included. And they keep on coming! In Zombies!!! players take on the role of a survivor amid city streets sprawling with Zombies. 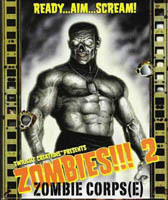 Movement is determined by dice roll as is combat when the player's piece is in the same square as a Zombie. Players must conserve bullets and protect their life counters. At the end of the turn a dice roll directs the player to move a number of Zombies one square (because they are the slow George Romero type). First player to reach the center of the Helipad tile and kill the Zombie there, or kill a total of 25 Zombies wins. When a player is killed they move back to the starting tile and lose half their Zombie kills. 2003. Zombies!!! 3: Mall Walkers. With babes (female Zombies). 1 pose (see 3rd in picture). 2004. Zombies!!! 4: The End... With dogs in 1 pose (many of them, of course, see separate picture). 2008. Zombies!!! 7: Send in the Clowns. And yes, with Zombie clowns in 1 pose. 2010. Zombies!!! 9: Ashes to Ashes. With Zombie kids, in one pose. 2012. Zombies!!! 11: Death Inc. With Zombie office workers in one pose. 2013. Zombies!!! 12: Zombie Zoo. With 6 different zombie animal poses. 2014. Zombies!!! 13: DEFCON Z. With 5 complete new figures. On top of all that TC also sold some of the figures mentioned above in bags of 100 - very useful if you need a few hundred extra Zombies. Many of these 'Bags of Babes' or 'Bags of Clowns' (or regular zombies (vs 1)), Dogs, or Zombies De Luxe (some of the vs 13 game figures) can still be bought from the TC website. Some can be bought in 'glow in the dark' versions as well. I told my wife I was going to buy such a bag of babes, and she told me I was a clown. What about that? TC made many more games with figures and these will be discussed in a second part of this board game article. Below some more board games are found with figures, but these are clearly not 1:72 scale.